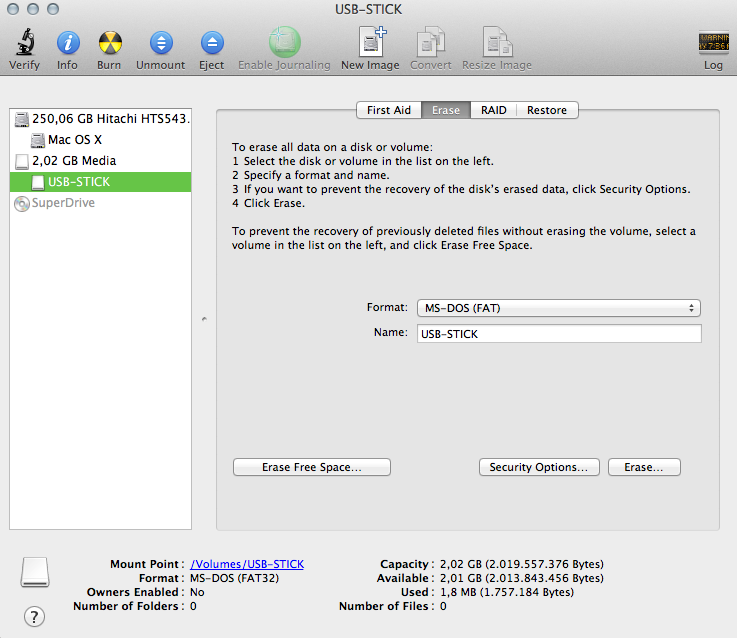 Mac OS X brings a build in solution for secure erasing hard disks or usb devices. 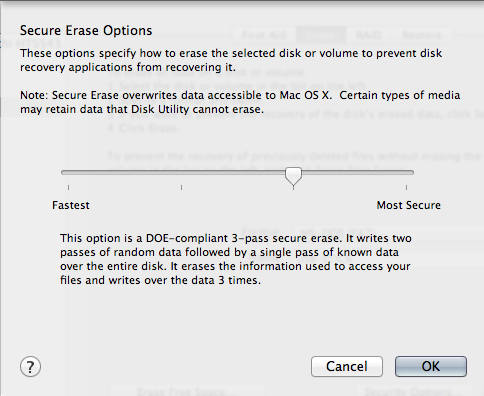 The option you should choose depends on what data where stored on the device you want to delete. For example if you want to sell your old private hard disc with all your private photos your tax information etc. on it, you should have some time to delete it secure. If it's just a usb stick with some music on it you maybe can safe some time and choose a faster option. If the device is for business use and it has high secure information stored on the it you should think about selling this device. 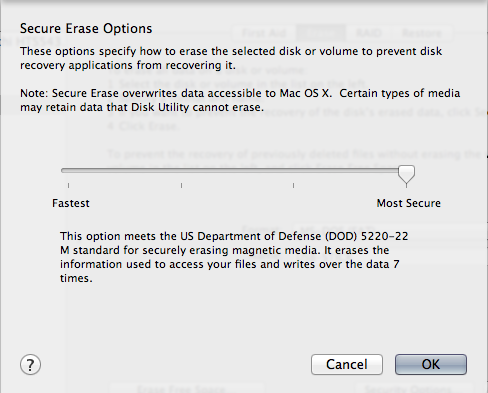 In some cases it's better to erase the data and destroy the device to make it not useable for anybody. I use the Disk Utility to do this job. There are some console methods as well but they do the same thing. The erase mechanism which is built in the Disk Utility is certified by government institutions (Department of Defens) of the US and should do its job. If you need higher or different security certification you maybe can check the German BSI homepage for information about alternative tools and methods. Select the Secure Erase Options which fits best to your needs.